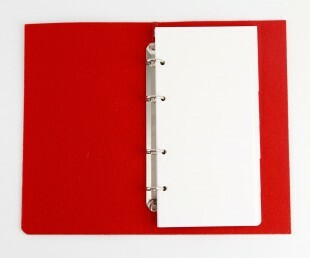 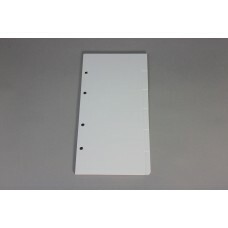 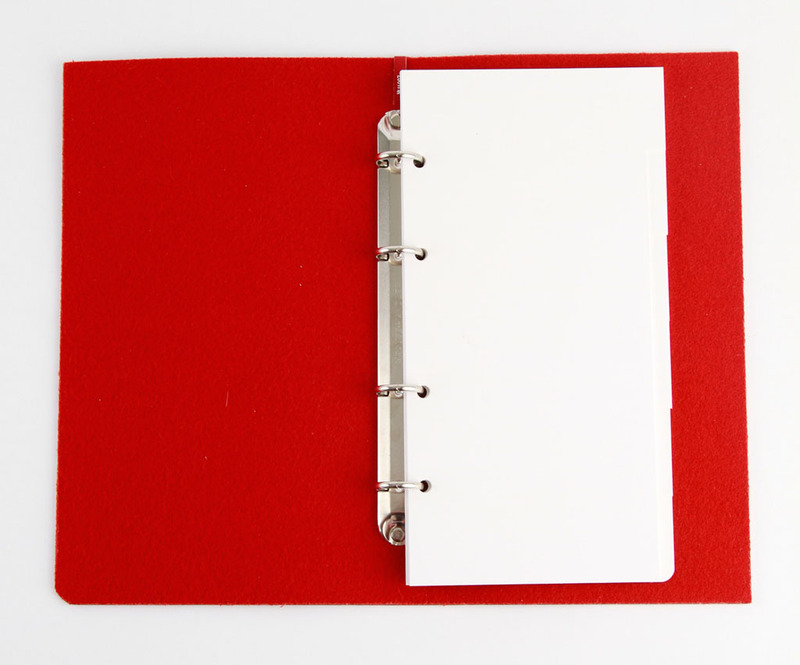 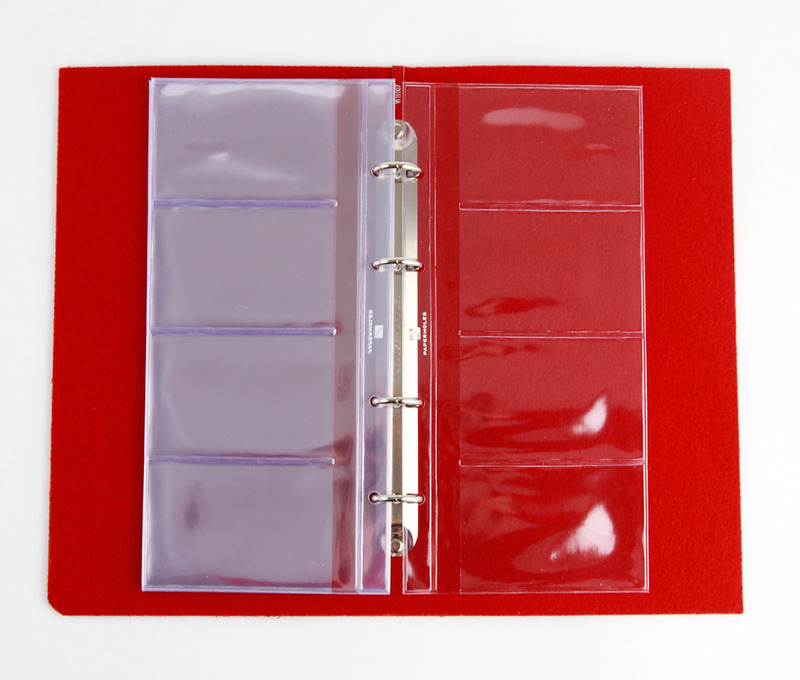 The binder for your contacts. 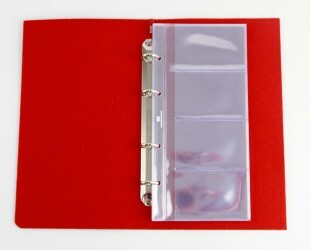 To put your businesscards in order. 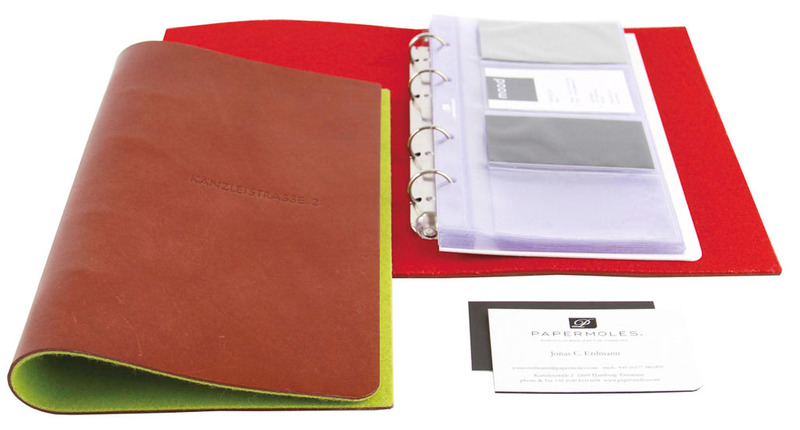 The PortContact offers space for ca. 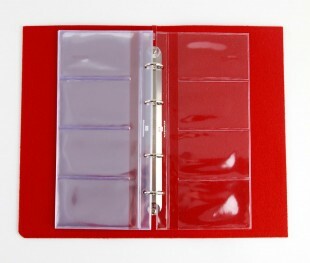 160 business cards in 20 transparent covers (Contact) with tabs (Register). 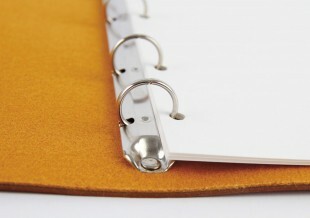 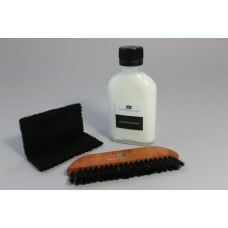 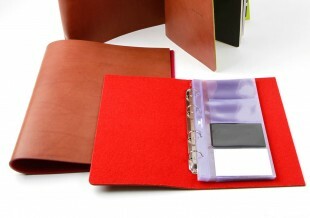 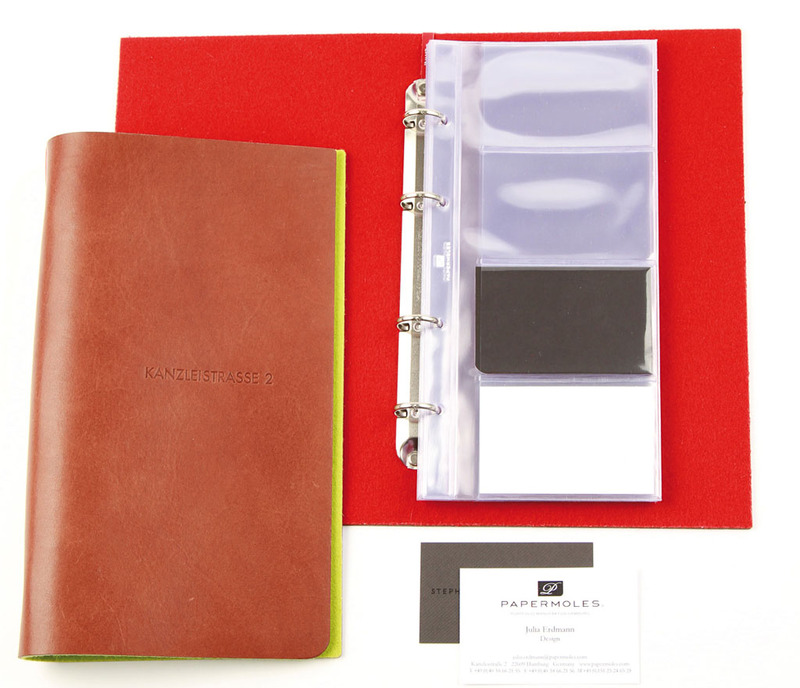 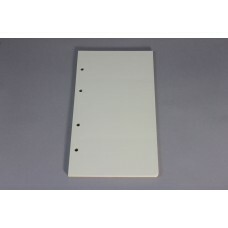 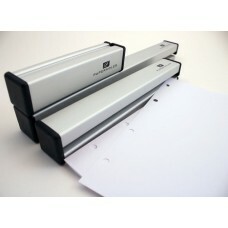 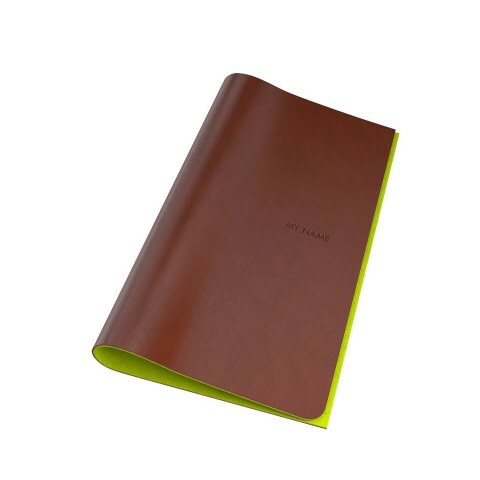 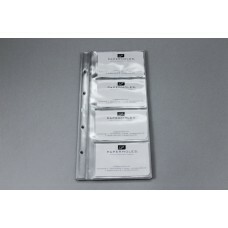 The folder is made of 1,5 mm thick cowhide and has an easy-to-use ring mechanism. 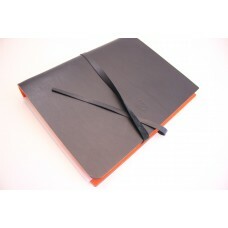 It is a great assistent on your desk!